Brazilian Naval Aviation (Portuguese: Aviação Naval Brasileira; AvN) is the air arm of the Brazilian Navy operating from ships including the aircraft carrier São Paulo and from shore installations. 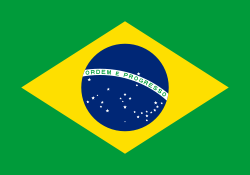 The Brazilian Naval Aviation branch was organized in August 1916, after creation of the Brazilian naval aviation school and the Brazilian aviation flotilla. Brazilian naval aviators participated in patrol operations during the First World War, incorporating into the 10th Operations Group of the Royal Air Force. The Brazilian Air Force was founded on January 20, 1941 extinguishing independent Army and Navy aviation at that time and forming a new armed service. From mid-1942 until the end of the Second World War, the Brazilian Air Force patrolled the Atlantic. On 31 July 1943 it claimed the German submarine U-199, which was located on the surface, off Rio de Janeiro, two Brazilian aircraft, a PBY Catalina and a Lockheed Hudson, and an American PBM Mariner attacked the U-boat. The Catalina, named Ärará, was captained by 2º Ten.-Av. (2nd Lt.) Alberto M. Torres, and hit U-199 with depth charges, sinking her. In 1956 the aircraft carrier Minas Gerais was acquired by the navy commissioning in 1960. 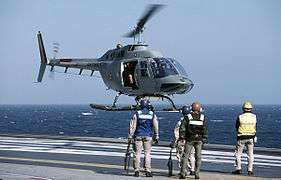 In 1965 helicopters were permitted, after substantial political struggle, to the navy by a presidential decree. From 1961 to 1999 the Brazilian Air Force flew the S-2 Trackers of the Brazilian aircraft carrier Minas Gerais while the Navy flew the helicopters. View of the forward flight deck of the Brazilian aircraft carrier São Paulo (A12), in 2003. Four McDonnell Douglas AF-1 (A-4) Skyhawk fighters and an Argentine Navy Grumman S-2T Tracker are visible. In 1997, Minas Gerais was loaned an A-4Q airframe by the Argentine Aviación Naval (Naval Aviation) for deck-handling and interface trials. This was in lead-up to the 1999 acquisition of 20 A-4KU Skyhawks and three TA-4KU trainer aircraft from the Kuwait Air Force for US$70 million. In 1998 authority to operate carrier based fixed wing aircraft for the Navy was granted by Presidential decree No. 2538. 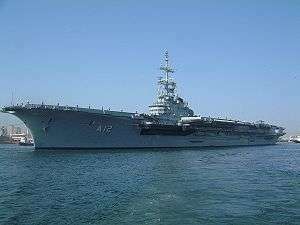 On September 30, 1999 Lieutenant Alvarenga of the Brazilian Navy was the last student naval aviator to make an arrested landing in the Skyhawk on a United States aircraft carrier. He is also the last US Navy naval aviation school Skyhawk student to earn his wings. On April 26, 2000, The first AF-1 (A-4KU) flight in Brazil. The aircraft N-1007 was manned by LtCol (USMC) James Edwin Rogers. 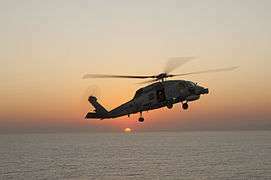 A month later the same aircraft was being flown for the first time by a Brazilian Navy pilot who was also the first to do a touch-and-go on the Brazilian Navy carrier Minas Gerais. 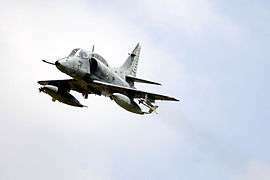 On 26 MAY 2000, Brazilian Navy VF-1, Falcoes AF1 Skyhawk N 1007 piloted by Lieutenant Alvarenga took off from São Pedro d'Aldeia Naval Air Base, Brazil. This was the first solo flight of a VF-1, Falcoes AF1 Skyhawk and the first fixed-wing flight by a Brazilian Naval Aviator since 1965. 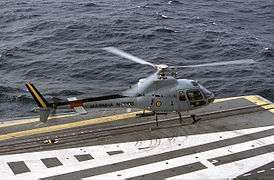 On January 2001, The first arrested landing and catapult launch from Minas Gerais of an A-4 were executed by CDR Daniel G. Canin, followed two days later by the first Brazilian Navy pilot to land on a Brazilian carrier. Naval aviation's roles now include support of the Brazilian aircraft carrier São Paulo, fleet air defense, reconnaissance, transport of marine personnel, and anti-submarine warfare. 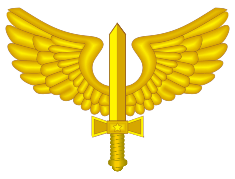 It is also responsible for airborne operations of the Brazilian Marine Corps. In June 2013, Brazilian naval aviation personnel provided carrier training support to the Chinese Navy during the second round of flight tests on board the carrier Liaoning. Since 2001, by Brazilian invitation, pilot qualification tests of the Argentine Navy's Dassault-Breguet Super Étendards and S-2T Turbo Trackers now take place on the Brazilian Navy carrier São Paulo as Argentina now lacks a carrier of their own. Brazil also trains with and conducts regular exercises with the US Navy. As of 2014, the Brazilian Naval Aviation operates around 70 aircraft. NAe São Paulo, foreground, and USS Ronald Reagan during a combined training exercise. ↑ "The Type IXD2 boat U-199 — German U-boats of WWII". UBoat.net. Retrieved 9 March 2010. ↑ Morison, Samuel Eliot (March 2001). History of United States Naval Operations in World War II. Vol.10: The Atlantic Battle Won. Castle Books. p. 219. ISBN 0-7858-1311-X. ↑ Corless, Josh (1 June 1999). "The Brazilian Navy blazes a trail in the South Atlantic". Jane's Navy International (Jane's Information Group) 104 (006). ↑ "Archived copy". Archived from the original on 2013-10-22. Retrieved 2013-10-20. 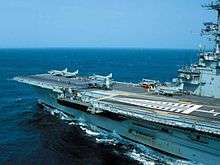 ↑ "China Carrier Starts Second Round of Jet Tests". USNI News. United States Naval Institute. June 19, 2013. Retrieved 2013-11-26. The Chinese are being trained in carrier aviation —the most complicated military aviation operations — by a cadre of Brazilian carrier pilots. 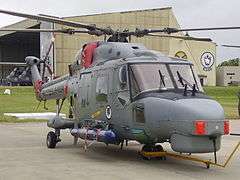 Wikimedia Commons has media related to Naval Aviation of Brazil.